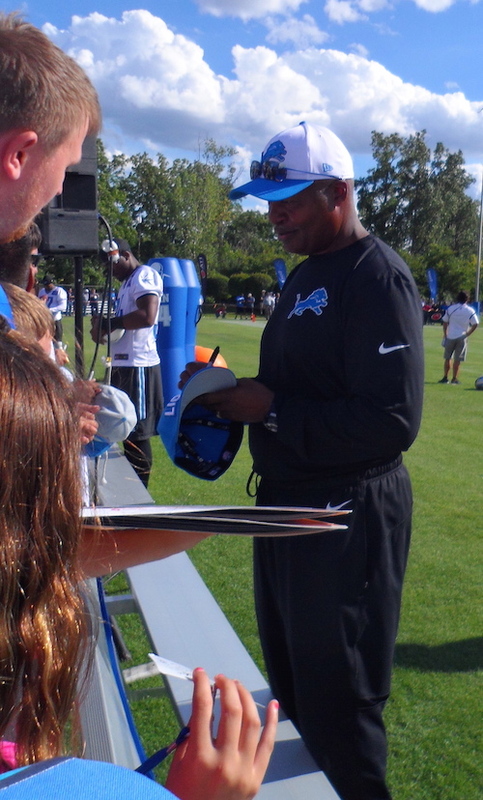 Above is an iFolloSports.com original photo of Lions head coach Jim Caldwell signing autographs at the team's Allen Park, Michigan practice facility, during training camp. In Caldwell's first season as Lions coach, he led Detroit to an 11-5 record and Wild Card playoff berth, before losing to the Cowboys in the Wild Card round. Prior to becoming the Lions head man, Caldwell's résumé includes stints as the head coach of the Colts and offensive coordinator of the Ravens. The photo is provided by iFolloSports.com Michigan correspondent Lance Martinez.